Textbook Library Manager, cost, price. How to create a new library? 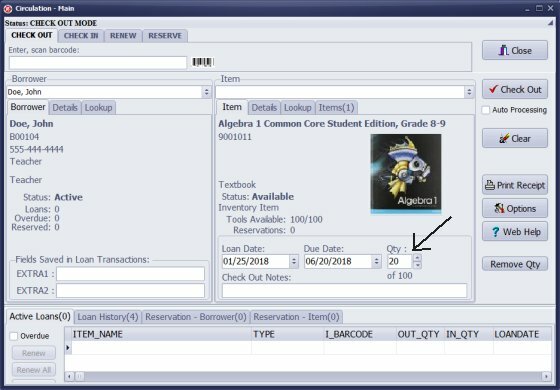 How to enter a textbook? 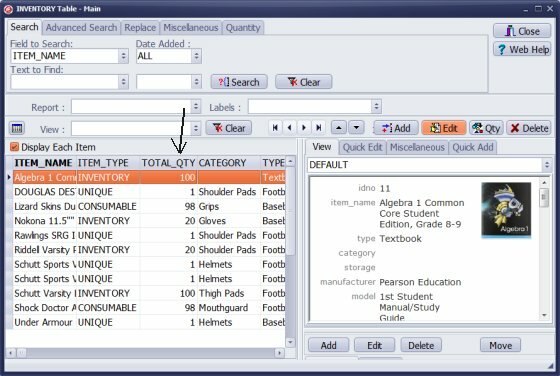 How to catalogue, import many textbooks? Handy Library Manager, track quantity of the item. We also offer customized inventory tracking solution. If you are interested let us know. 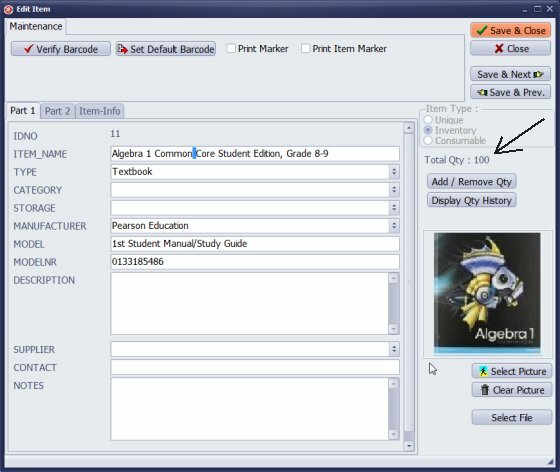 In the customized solution you can enter textbook as an inventory item type, for this item type you have to define the item quantity. To check out the inventory item type, you just select the item and define the quantity to be loaned. There are unique and inventory items.